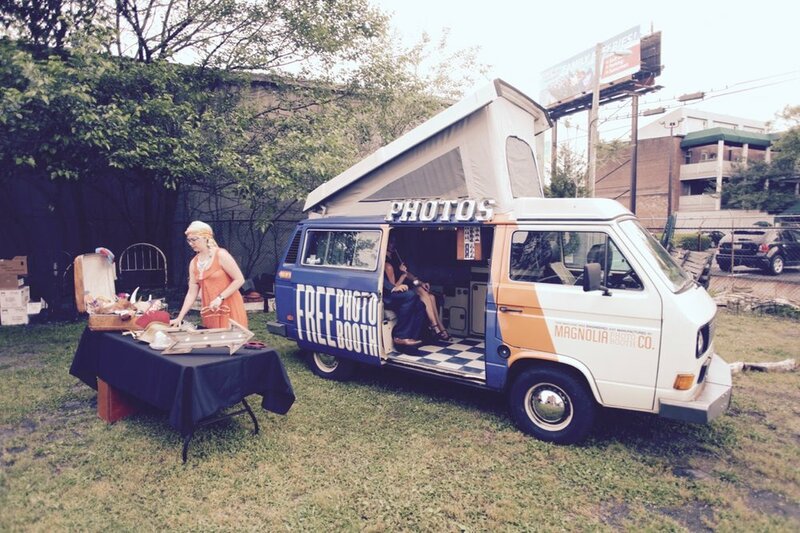 Some people claim it but we actually built the first VW photo booth van years ago. We launched a Kickstarter campaign with the promise that if people helped fund it we would build a VW photo booth van and tour it across the country. It was a huge success and we created a Portrait of America Through The Eyes of Photo Booth. Now Maggie lives in Louisville, KY and can be rented for your special event. Climb in and have a seat on the cozy bench. The pics spit out the back once you are done striking a pose. Event and road ready. Maggie can roll up to any location and the good times start to explode. She is a staple back stage at most music festivals in the region but loves a good wedding party as well. Everything is original and people go nuts when they see the old fridge and range. 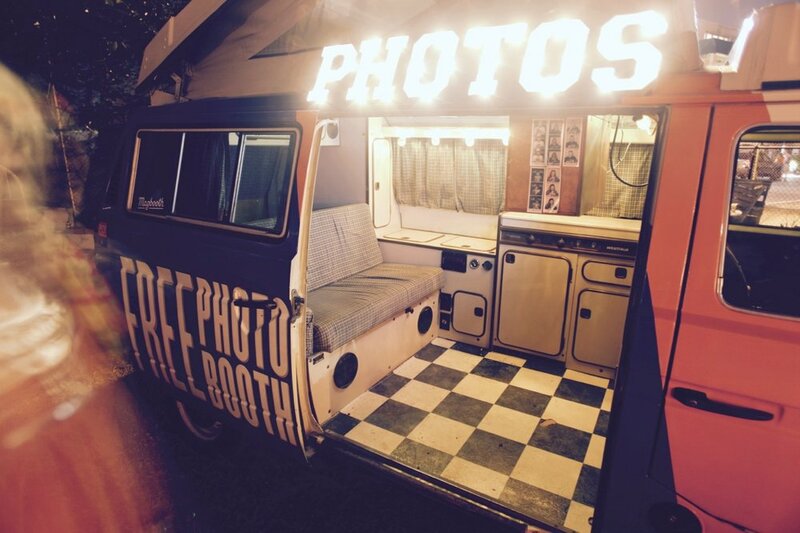 The photo booth elements are minimalist so as not to take away from the nostalgic comfort that only a 1982 VW Westfalia can provide.